TomTom has gone it alone with its latest GPS tracking watch - the TomTom Runner. With the Nike collaboration over, what's new, and what's improved? We first saw TomTom put its GPS smarts into a running watch with the launch a few years back of the Nike+ TomTom SportWatch. It was a simple device aimed at putting the essential running stats where the recreational runner could see them - on their wrists. The new TomTom Runner is a similar tool. The Nike branding and collaboration may have gone, but many of the features we saw in the Nike TomTom SportWatch still remain along with a few improvements. Before we deliver our verdict, it's worth noting where this watch sits in the grand scheme of GPS run tracking watches. Just like the original TomTom watch, this is an entry-level device that offers more for the couch to half marathon runners, or first time marathoners, than the seasoned amateur looking to shave seconds off a personal best. The TomTom Runner is lightweight, durable and more subtle looking than its predecessor, although some of the Nike-inspired flourishes of colour are still there. One of the biggest changes is the decision to put the controls on a separate four-way button below the watchface. This new square toggle four-way control makes using the watch while you're running far easier. It's a big improvement on the previous Nike+ SportWatch where the touchscreen at times made it hard to control on the move. There's still no option to lock the buttons but the placement of the controls means it's unlikely you'll accidentally knock them. In fact, in our tests it didn't happen once. While TomTom has been smart with the new controls, for some reason those smarts went out of the window when it decided to make the watch detachable from the wrist strap. The problem here is that all too often and all too easily the two become separated. We found this happening even when the watch was on the wrist, unless the strap is done up tightly. The result? We often found ourselves scrabbling around in our gym bag searching for the missing brains to the Runner. Charging is still a problem too. TomTom is not alone in using a different connector to charge its GPS watch, Garmin and the Suunto Ambit are guilty of this too, but having to carry yet another special USB cable around is irritating. What we really want is micro USB charging like you find on the Polar RC3. Once the watch is powered up and on your wrist, it's comfortable to wear. It certainly feels lighter than some, which is a bonus. It's also waterproof to 50m so you don't have to worry about getting it wet. What you see on your TomTom Runner screen is customisable with seven options to choose from for both the top left and top right hand side. The simplicity of data displayed on screen has been carried over from the Nike+ TomTom SportWatch and this is really welcome. Too often GPS running and tracking watches can overcomplicate the types and amount of information crammed into one screen. This puts all your vitals - pace, distance, elapsed time - in one place. The light works with a simple tap of the screen in the same way as the old Nike TomTom SportWatch, but with the other functions now managed by the controller there's no danger of pausing or stopping your tracking when you're just trying to throw some light on your stats during those dark winter night runs. Unfortunately there's no way to keep the screen lit, a good thing for preserving battery life, but the option would be nice. 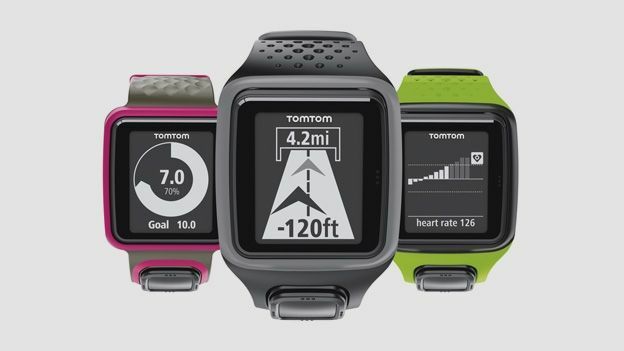 More advanced runners may find the level of detail on the TomTom Runner a bit lacking. You only get duration, distance, average page and calories on the display while you run. There's something to be said for keeping it simple, but some will almost certainly want more. Starting a run is simple. Hitting the right button lets you select either Run or Treadmill. A second tap right on Run makes the Runner search for GPS and once it's locked on, you're good to go. How long the watch took to find GPS varied. We tested it over the course of a few months while also using the Polar RC3, a smartphone tracking app Endomondo and the older Garmin 610 Forerunner. Despite coming with TomTom's QuickGPSFix technology, more often than not the TomTom was the last to connect. Tap right on Treadmill and the built in accelerometer tracks your indoor runs - which is a nice touch, although not always 100 per cent accurate. While you're running you have the option of four modes: Zone, Race, Goal and Laps. The Zone function alerts you if you're going too fast or too slow or if your heart rate goes above or below a desire level. Go too fast, too slow or get your BPM above a certain level and the watch lets you know with a little buzz. The Race option pits your current run against previous outings so you can see if you're ahead or behind a previous time. Goal allows you to set distance targets. Again the Runner vibrates to let you know when you've reached those goals. Finally there's Laps mode, which lets you set either automatic or manual laps taking into account time and distance. Once you're done, your run history on the device is easy to access, again don't expect huge amounts of data though. We tested the TomTom Runner on a 10km run up against Endomondo Pro running app and a Polar RC3 GPS heart rate monitor and run-tracking watch. The Runner clocked 6.26 miles while Endomondo told us we'd covered 6.33 miles and the Polar registered 6.25. When it came to average pace the Polar claimed we'd run at 8:07min/mile exactly the same as Endomondo Pro. This time it was the TomTom Runner's turn to be the odd one out with 7:59 min/mile. 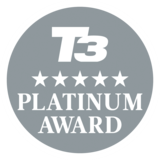 When it comes to syncing your Runner with the online tools, you're going to need that special USB cable again - and TomTom recommends you sync regularly to keep the GPS accurate. It'll come as no surprise that TomTom is now offering up its own online MySports portal for collecting and reviewing your run data. It's fairly basic at the moment displaying time, average pace and calories burned. Happily the Runner also lets you upload data to third party services such as RunKeeper. This ability to combine your Runner-captured data with other services you might already use is a big benefit. TomTom MySports has been based on the MapMyFitness system so if you're an existing MapMyFitness user, you can log in with that account. The TomTom Runner can be paired with devices and accessories like a heart rate monitor for added insight into your training. The TomTom Runner is definitely an improvement on the Nike+ TomTom SportWatch. It's superbly easy to use pre, during and post run. But before you buy one, you need to ask yourself one question: How serious am I about running? If the answer is 'very' then this is probably not your best option. It lacks a lot of the functionality you can get from many smartphone running apps and the more serious GPS run-tracking watches from the likes of Polar, Garmin and Suunto. If, however, you're just looking for a simple way to keep tabs on the vital stats the price and functionality make this a good option.